Mumbai/New Delhi: Posing fresh complications for India, absconder diamantaire Mehul Choksi, one of the prime accused in the Rs135 billion (Dh6.95 billion) Punjab National Bank (PNB) fraud, has surrendered his Indian citizenship in favour of Antigua & Barbuda Isles in the West Indies, official sources said on Monday. 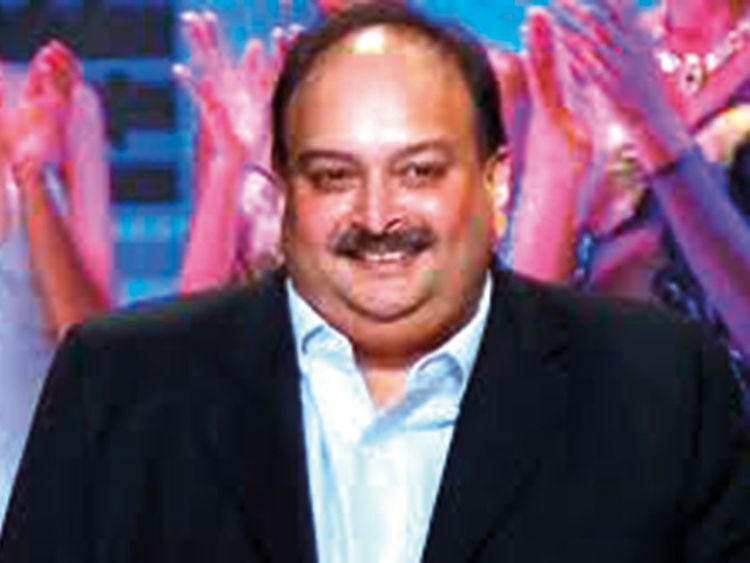 Choksi, 59, acquired his new citizenship in 2018 and then subsequently deposited his cancelled Indian Passport No. Z3396732 and a mandatory fee of $177 for the other formalities, with the Indian High Commission in the Cooperative Republic of Guyana. The Indian High Commission in Cooperative Republic of Guyana is also accredited to the Antigua & Barbuda and St. Kitts & Nevis. Contacted in Mumbai, Choksi’s lawyers declined to comment saying they were no longer in touch with him. Sources in the national capital said that despite the latest developments, the Indian government will continue its pursuit of Choksi with the government of Antigua & Barbuda through diplomatic and legal channels. Choksi, along with his 47-year-old nephew Nirav Modi, are among many others charged with conniving with certain bank officials to dupe the PNB of over Rs135 billion by issuing fake Letters of Undertakings (LoUs) to their group companies through the PNB’s flagship Brady House Branch. The development could present new hassles for the Central Bureau of Investigation (CBI) which was hoping for his extradition along with Modi and other relatives who are believed to be holed up in different countries. Weeks before, the PNB first admitted to the massive scam on February 14, 2018, Choksi and Modi besides many of their family members had surreptitiously fled the country, virtually catching the investigating agencies napping. Before the fraud exploded in the public domain, the PNB had already lodged complaints with the Enforcement Director (ED) and the CBI in Mumbai seeking their help. As per the PNB’s admission, a total of more than 1,200 Letters of Undertaking were issued to Choksi, Modi and their relatives and group companies with the CBI charge sheet in Mumbai naming them plus other employees, top PNB officials and executives. The ED and CBI cracked the whip with raids on the homes, offices and factories of all the accused in Maharashtra, Gujarat and other locations in the country, issued Look Out Notices, Interpol Red Corner Notices, suspended the passports of many of the accused, attached their residential business properties, and initiated other measures to pressurise and make them return to face the Indian laws. In the latest initiative, last weekend, the government dismissed two PNB executive directors KV Brahmaji Rao and Sanjiv Sharan for alleged failure to exercise proper control over the bank’s functioning, procedural lapses by ignoring Reserve Bank Of India’s advisory to link Society for Worldwide Interbank Financial Telecommunication (SWIFT) with the Core Banking Solutions (CBS) systems of the bank. In August 2018, the Centre had sacked Allahabad Bank’s Managing Director and CEO Usha Ananthasubramanian in connection with the Choksi-Modi frauds when she was serving as the latter’s (PNB) MD and CEO.